Cutest Handmade Corn Costume Ever! 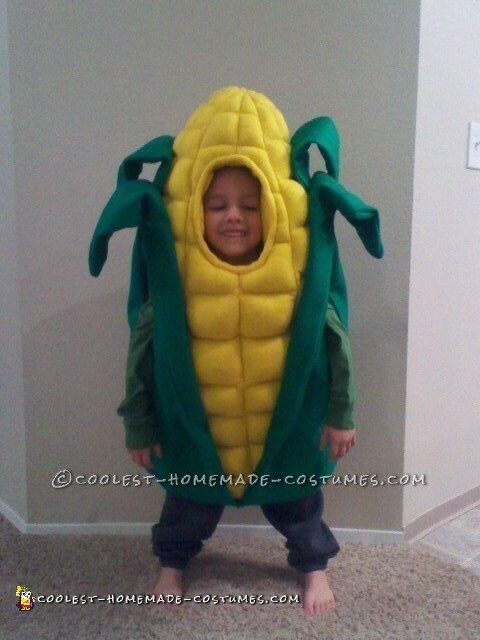 I asked my 4 year old son what he wanted to be for Halloween and he said “a corn!”….. So I started sewing! I had no previous sewing experience, just an old one stitch sewing machine, but I had a blast learning! Every one who sees this costume loves it and wants to wear it and since it’s a simple pull-over most every one can! Did you find a pattern or just “draft” your own? Love it!!! Wow! That’s an amazing first sewing project! Nice job. Wow, that’s an amazing first sewing project! Nice job.